ORLANDO, Fla. – June 20, 2018 – In May, Florida’s housing market reported more sales, higher median prices and more new listings from owners ready to sell, according to the latest housing data released by Florida Realtors®. “Strong demand from buyers, coupled with a lack of for-sale inventory, continues to have an impact on rising median prices in many local housing markets,” says 2018 Florida Realtors President Christine Hansen, broker-owner with Century 21 Hansen Realty in Fort Lauderdale. “Home sellers continued to get more of their original asking price at the closing table. Sellers of existing single-family homes in May received 96.7 percent (median percentage) of their original listing price, while those selling townhouse-condo properties received 95.1 percent (median percentage). Sales of single-family homes statewide totaled 28,071 last month, up 0.8 percent compared to May 2017. 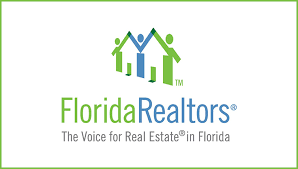 Meanwhile, the statewide median sales price for single-family existing homes was $255,000, up 6.7 percent from the previous year, according to data from Florida Realtors Research Department in partnership with local Realtor boards/associations. Thestatewide median price for townhouse-condo properties in May was $188,688, up 6 percent over the year-ago figure. Looking at Florida’s townhouse-condo market, statewide closed sales totaled 12,012 last month, up 4.1 percent compared to a year ago. Closed sales data reflected dwindling short sales and foreclosures in May: Short sales for townhouse-condo properties dropped 43.2 percent and foreclosures fell 43.7 percent year-to-year; while short sales for single-family homes declined 43.5 percent and foreclosures fell 47.4 percent year-to-year. Closed sales may occur from 30- to 90-plus days after sales contracts are written. “Florida’s resale market for existing homes continues ahead of last year’s pace, with median sale prices and the number of sales checking in at levels above where they were at this time in 2017,” said Florida Realtors Chief Economist Dr. Brad O’Connor. “Price growth for both single-family homes and for condo and townhouse properties was slightly more modest than the year-over-year increases we observed in previous months of 2018, but not by much. For-sale inventory in May remained tight, at a 4-months’ supply for single-family homes and 5.7-months’ supply for townhouse-condo properties, according to Florida Realtors. According to Freddie Mac, the interest rate for a 30-year fixed-rate mortgage averaged 4.59 percent in May 2018, significantly up from the 4.01 percent averaged during the same month a year earlier.